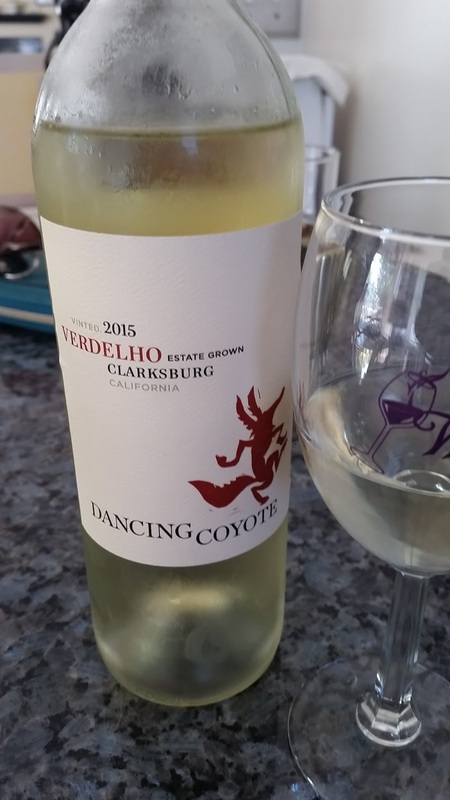 That is where the name “Dancing Coyote Wines” comes from. 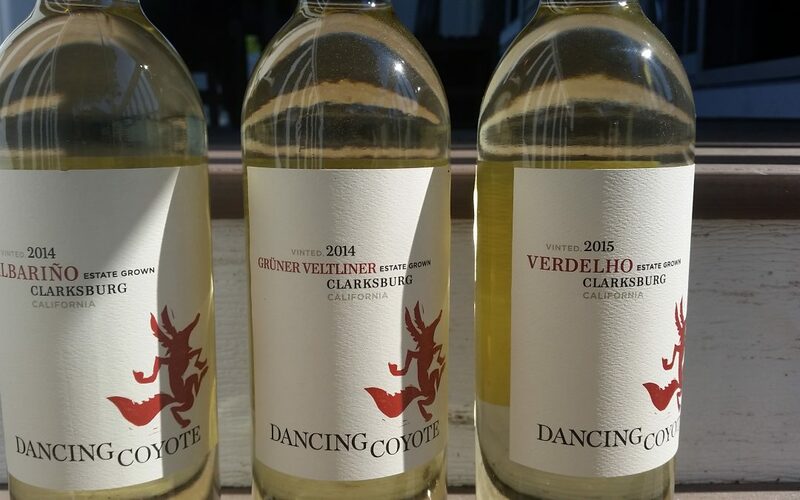 Dancing Coyote Wines is a family owned vineyard located in the Clarksburgh appellation of California which is in the Sacramento Valley. 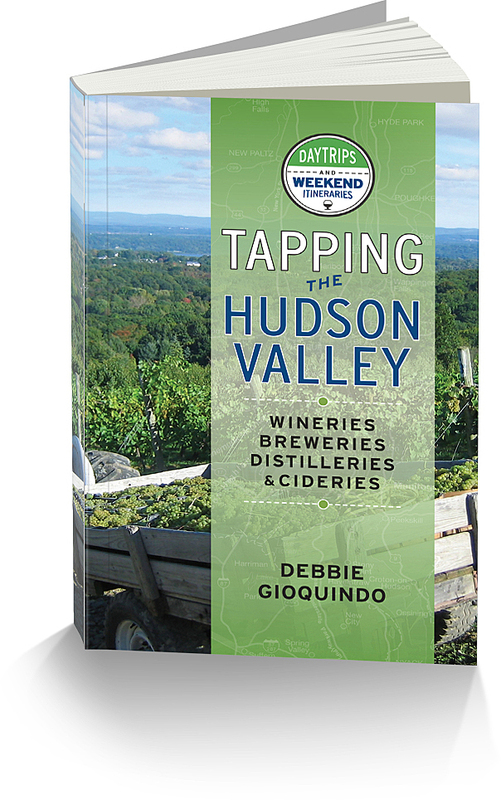 They grow over 600 acres of grapes. Growing conditions are warm summer days and cool nights which is great for a long growing season for many of the varietals they grow. What struck me about Dancing Coyote Wines is the different varietals they grow in California. 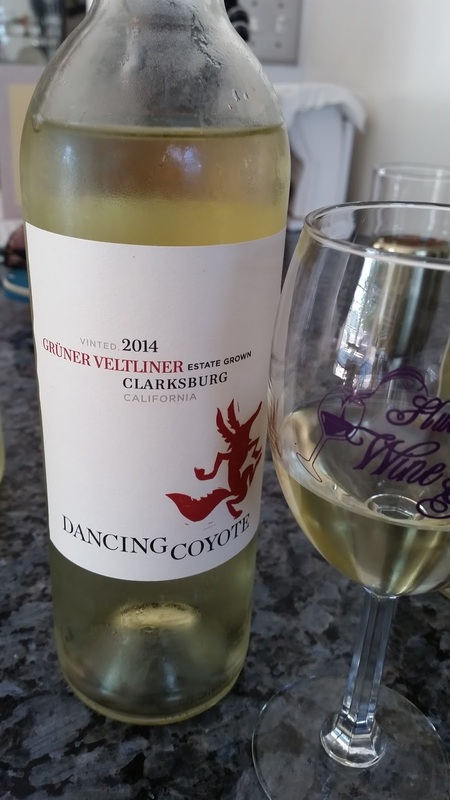 Grapes such as Albarino, Gruner Veltliner and Verdelho. Those are wines you usually see grown in Spain, Austria and Portugal respectively. I was excited to try them. These wine are very reasonably priced and will be great summer wines by the pool or at your BBQ paired with chicken or fish.